THIS DEVICE IS NOT COMPATIBLE WITH ANY OF VERIZON'S UNLIMITED PLANS. Get internet and home phone service all in one device with the 4G LTE Broadband Router with Voice. Whether you need high-speed internet and/or phone connectivity at home or away, this router securely connects multiple devices wherever there is a 4G LTE signal. THIS DEVICE IS NOT COMPATIBLE WITH ANY OF VERIZON'S UNLIMITED PLANS. This device requires its own SINGLE DEVICE OR SHARED DATA PLAN . 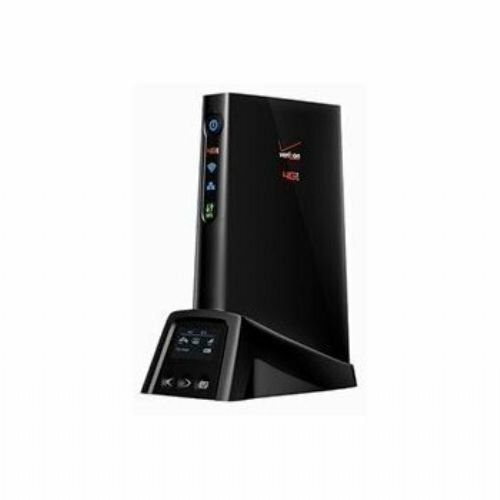 Get phone and Internet connectivity in one solution With the Verizon 4G LTE Broadband Router with Voice, you can make calls with your landline phone and access the Internet on multiple devices, simultaneously.